Prior to 1956, Sri Lanka was governed by the UNP but at the general election held in 1956, the SLFP won with a handsome majority and the UNP was reduced to 8 seats. This was achieved under late SWRD Bandaranaike. The SLFP victory was the result of the Buddhist Clergy, the Native Doctors, Sinhalese Teachers, Workers and Peasants being united under one banner. At this election, one of the main promises SWRD Bandaranaike gave the masses was that he would make Sinhalese the official langauge of the country within 24 hours, if he got elected. He got elected and he kept the promise. However, by this sudden change of language, a large section of non-Sinhalese got affected. Those who were in the Government service had to get proficiency in the Sinhala language and their confirmation depended on their passing a Sinhala test. When I joined the Police Service in 1957, the entire strength of the Service did not exceed 8,000. The last regimental number was 7951. The Inspector-General of Police was Osmund de Silva. He had three DIGG under him. They were the Dissanayake brothers, Jungle and Jingle and William Leembruggen. The IGP was a Buddhist but the other three were Christians. In the year 1959 Osmund de Silva reached his 58th birthday and a new IGP had to appointed. Prime Minister SWRD Bandaranaike, according to his election pledge had to appoint a Buddhist as IGP. Hence he had to get someone from outside to hold this post as all other three DIGG were Christians. He also found that 9 SPP according to the seniority list were non Buddhists. The 10th in seniority was SP Stanley Senanayake who was a Buddhist. All the DIGG and SPP unanimously requested the Prime Minister to appoint Stanley Senanayake as the IGP over and above them instead of bringing an outsider. By this time the Prime Minister had already made up his mind to appoint a Buddhist IGP from outside. At that time the Police Department did not have labour rights and strikes were not heard of. The Gazetted Officers of the Police met one day at the Police Headquarters Library and decided to show their displeasure over this to the Prime Minister. The main speakers at this meeting were Vicky Thuraisingham, Harrold Mendis and Fred de Saram. The decision taken at this meeting was conveyed to the Prime Minister by three officers of the three ranks - a DIG, a SP and an ASP. The request was handed over to the PM and after listening to them he said that he cannot change decision as an outsider had already been earmarked. The officers walked back, dejected and frustrated. Within a period of week, a complete outsider, a man who had never worn a khaki uniform or hardly taken part even in a school 'March Past', one M W F Abeykoon was air lifted and made him the 14th IGP of Ceylon. He served from April 26, 1959 to April 29, 1963. The PM knew that he had blundered badly and Abeykoon would only be a figurehead and the Police Department would be akin to a ship without a rudder. To rectify this mistake to a certain extent he appointed a gifted Civil Servant who had already made a name for himself as DIG Administration and shifted him to Police Headquarters. He was D B I P S Siriwardena. He was a very methodical man, efficient and intelligent, with a proven track record in all aspects of administration. Senior Police Officer could not do anything now as the die was cast. Displeasure and frustration were brewing daily and the tentacles were reaching the other services, Army, Navy and Airforce. On September 26, 1958 the Prime Minister was gunned down at the Rosmead Place residence. This was orchestrated by disgruntled SLFP stalwarts led by the powerful Buddhist prelate Buddharakkitha. All of them were diehards who paved the way for the success of the SLFP in 1956 general election. 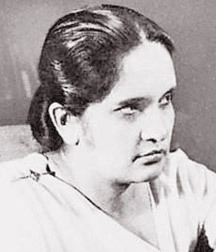 Sirima Bandaranaike was appointed to fill the vacancy of her late husband. Abeykoon, the incumbent IGP did not know how to handle a murder inquiry. He had to be at the mercy of the other senior Police officers. At this stage Felix Dias Bandaranaike came to the forefront supervised the inquiry. He was a highly intelligent person, son of a Supreme Court Judge and himself an Advocate by profession. The murder inquiry handled by S A Dissanayake, DIG CID, assisted by a team of intelligence officers headed by Tyrrel Gunatilleke. The case was successfully concluded and Somarama Thera was sentenced to death and Buddharakkitha Thera was sentenced to 8 years RI by the Privy Council. A few accomplices were discharged. Abeykoon continued to be IG. The discipline in the Police was deteriorating by the day. Politicians now wielded power and every government servant had to fall in line or face dire consequences. A foolish Member of Parliament even walked into a hospital operating theatre to supervise a surgeon operating on a patient. Sidney de Zoysa was a Senior Police Officer who dominated Police Force from early nineteen thirties till late nineteen fifties. he is a legend. He was a brave cop, a strict disciplinarian and an impartial officer. He was the Director of the Police Training School from 1947 to 1955 and every Police Officer who joined the Police during that time had to go through him. It was said that he could recall the names and the regimental numbers of every Constable who passed through his hands. He was said to have a wonderful memory. 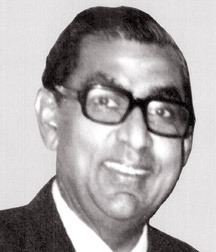 He was the brother of Stanley de Zoysa, then Minister of Finance but Sidney had to leave the Service in disgust as he was asked to tender his retirement papers due to a comment made by him in a statement made by Philip Gunawardena in Parliament, Sidney de Zoysa perceived this forced retirement is unjust and it rankled in his heart. During this time there was a reputed Government servant called Douglas Liyanage. He was an intelligent and an efficient officer. For a trivial reason the Government did not want him in Colombo. He was transferred overnight as Government Agent Mannar which was a demotion for him. He did not protest and proceeded to Mannar as the Government Agent. This was a terrible error of judgement made by the Government. Douglas Liyanage was shrewd enough to realize that it was the opportune time to plan and carry out a Coup d'etat against the people's elected Government. He knew whose support was needed and surreptitiously attended to every minute detail of the plot. He was the master mind of the Coup d'etat. The Army Commander at the time was General Wijekoon and the Navy Commander was Royce de Mel. The RAF was led by an Englishman named R A Baker. Wijekoon was a man with SLFP learnings and Baker being an outsider, both of them were kept in the dark. They tapped the Navy Volunteer Force by gaining the favour of Maurice de Mel. DIG C C Dissanayake had a finger on the pulse of the Police Dept. He and his brother S A Dissanayake were ill-disposed towards each other and SA being a tactician and no nonsense man was kept out by his brother CC who did not trust him at all. C C Dissanayake had his own blue eyed boy. Two of them were ASP Jeerasinghe and Bede Johnpulle. He got Johnpulle transferred from Matugama to Colombo and made him ASP Traffic Colombo under whom there was a fleet of vehicles. Collin Vanden Driesen was given the second place at Depot Police where arms and ammunition and stand-by men were available. IGP Abeykoon did not know anything about surveillance. As usual he played Bridge at the Orient club with his erstwhile friends. The Master of Ceremonies of the Coup Douglas Liyanage travelled from Mannar to Colombo practically every week to meet and finalise arrangements and strength with his co-conspirators. It is reported that the first Coup meeting was held at the Senior Police Officers Mess at Longdon Place where most of the Police Officers met under Douglas Liyanage. Stanley Senanayake who was the Director Police Training Kalutara was transferred to Colombo Division as its Superintendent. This was an unexplained move. In the meantime, Colombo Division and some other places were having practices as to what should be done in an emergency or a riot but the new SP Colombo had not been informed as to why these sudden preparations were made. One evening a meeting was held in the office of the Supdt. of Police Colombo. This was headed by C C Dissanayake and the Coup matter was discussed. That was the first time Stanley Senanayake was informed. On the second day another conference was held at the office of SP Colombo. This was also chaired by C C Dissanayake and was attended by more Gazetted Officers than the previous meeting. It ended around 12.15 pm. Stanley Senanayake was a gentleman to the finger tips. He never ever did anything wrong. This Coup to topple the duly elected government immensely troubled him. Senanayake went home in the night after the meeting. He narrated this story to his wife Maya. His wife's father was the famous Educationist P de S Kularatne, one time SLFP MP for Ambalangoda. Kularatne was staying at the Orient Club and Senanayake met him and told him what had transpired at the meeting. Kularatne contacted the party hierarchy and the news was conveyed to them. The cat was let out of the bag. Felix Dias Bandaranaike rushed to Police Headquarters, met S A Dissanayake at the CID office. He authorised him to assume the powers of IGP S A Dissanayake despatched a message from Police Headquarters to all Provinces that no Police Officer should take any type of action other than on orders from DIG S A Dissanayake to whom the necessary authority has been given. On the previous day DIG C C Dissanayake who had personally informed all SPP in the Island that there could be a sudden riot and to be in readiness with all available men. All leave given earlier was cancelled and those who went on leave were recalled. Also the Director of Training PTS Depot Police and the Special Police Reserve were informed of this message. They were kept in readiness for any eventuality. S A Dissanayake, Felix Dias and the CID officers shifted to Police Headquarters and issued orders from there. C C Dissanayake knowing that the Coup had been nipped in the bud went to his bungalow at Pageant Road. S P Richard Arndt lived next door. Around 12 mid night an Airforce vehicle went to C C Dissanayake's house to arrest him with some Police officers. Richard Arndt who heard a commotion at the next door went there armed with his service revolver. Both officers were brought in a black maria which was halted on the Marine Drive close to the Harbour Police. If I remember correct, it was Buddi Siriwardena of the RAF who was in-charge of the vehicle. Airforce and Police vehicles arrived and were parked on the Marine Drive one behind the other. SI Gamini Wijesinghe and I were attached to the Harbour Police and our Officers Mess was in the same premises. On the same day around 5.00 pm ASPP Johnpulle and Jeerasinghe drove to the Harbour Police. Both were in uniform. We knew that they had come in search of us as both of us played cricket under Johnpulle. We had already booked two tickets to the 6.15 pm show at the Regal Theatre and told the Manager Dudley Wanaguru that we will come to collect them. As our plan was about to get buckled we ran to the bathroom and locked ourselves up. He had told the Reserve Sergeant that both of us should report to ASP Traffic at his Echelon Square office by 9.00 pm the latest. We went for the show and came back to the mess having had a beer and sumptuous dinner at the Fort Inspectors' Mess when we were informed of the ASP's order. It was around 10.55 pm then. This was the time Police Black Maria vehicles were crowding the Marine Drive of the Colombo Harbour. The other SI who was in the quarters had been told to meet ASP Traffic at his office at 9.00 pm. This SI had been sent with two more men to the house of R A Baker to watch his movements. The SI had been watching the house when Tony Mahath of the CID took him into custody. A little later we came to know that some officers had attempted to overthrow the Government and they have been caught and brought for detention in Police Black Marias. The investigation was started by DIG CID, instructed by Felix Dias Bandaranaike. The officers who joined them were S A Dissanayake, John Attygalle, Eleric Aeygunawardena, Simon Perera, Thavarajah, S K Iyer and last but not the least Tyrrel Gunatilleke, ably assisted by a SI and a Constable. The inquiry ran for weeks and all accused were arrested and brought to Courts at Flag Staff Street, Fort. Those who were acquitted by the Privy Council had to spend at least two and a half years in Prison. All accused were arrested by the CID sleuths with the exception of the Navy Commander Royce de Mel. All attempts made by the CID to arrest him were futile. However, when the plaint was filed in Court, he surrendered to the Flag Staff Street Court through lawyer G G Ponnambalam. There were senior officers who were involved in the Coup from the Police, Army and Navy. Most of them were interdicted and the following officers were tried at the Trial-at-Barid. 1. Douglas Liyanage 2. C C Dissanayake 3. David Thambiah 4. Elster Perera 5. Bede Johnpulle 6. Jeerasinghe 7. Terry Wijesinghe 8. Collin Vanden Driesen 9. Col Maurice de Mel 10. Col Derrick de Saram 11. Rear Admiral Royce de Mel 12. Lt Col Abeykoon 13. Maj Loyola. After a lengthy trial the Trial at Bar found some accused guilty and some others were acquitted. The accused who were found guilty appealed against the verdict to the Privy Council. There all accused were acquitted on all charges framed against them on a technicality. Others who were interdicted got reinstated. Several low ranking officers had to leave their services as they did not know anything about a Coup but blindly carried out orders.